The United States and the Middle East in the Age of Trump: Tweet and Retreat. President Donald Trump has steered U.S. Middle East policy in conflicting directions. He professes to seek the “ultimate Palestinian-Israeli peace deal” but has so alienated the Palestinians that they no longer talk to the Administration. He has pulled the United States out of the Iran nuclear deal but has offered no substitute. He declares one day his intention to withdraw U.S. troops from Syria while increasing troop levels the next day and yielding to Russian influence. Former U.S. Ambassador Daniel Kurtzer will try to make sense out of an increasingly incoherent American policy in the Middle East. 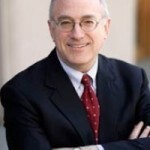 Daniel C. Kurtzer is the S.Daniel Abraham Professor of Middle East policy studies at Princeton University’s Woodrow Wilson School of Public and International Affairs. Following a 29-year career in the U.S. Foreign Service, Kurtzer retired in 2005 with the rank of Career-Minister. From 2001-2005 he served as the United States Ambassador to Israel and from 1997-2001 as the United States Ambassador to Egypt. He served as a political officer at the American embassies in Cairo and Tel Aviv, Deputy Director of the Office of Egyptian Affairs, speechwriter on the Policy Planning Staff, Deputy Assistant Secretary of State for Near Eastern Affairs, and Principal Deputy Assistant Secretary of State for Intelligence and Research. Throughout his career, Kurtzer was instrumental in formulating and executing U.S. policy toward the Middle East peace process. He remains active in Track II diplomacy related to the Middle East. Kurtzer was appointed by Secretary of State John Kerry to serve on the Secretary’s Foreign Affairs Policy Board. Governor Chris Christie has appointed Kurtzer to serve on the New Jersey-Israel State Commission. Previously, Kurtzer served as an advisor to the bipartisan Iraq Study Group, and as a member of the Advisory Council of the American Bar Association’s Middle East Rule of Law Initiative. In 2007, he was named as the first Commissioner of the professional Israel Baseball League. He is the co-author of Negotiating Arab-Israeli Peace: American Leadership in the Middle East; co-author of The Peace Puzzle: America’s Quest for Arab-Israeli Peace, 1989-2011; and editor of Pathways to Peace: America and the Arab-Israeli Conflict. Ph.D. Columbia University.